Shredding documents by hand can be a really tedious and expensive process. Not to mention the legal obligation to make sure the job has been done properly. Due to the Data Protection Act, businesses are required to protect all confidential information they store. Does your business need a secure way to get rid of confidential documents on the Isle of Wight? By choosing G.H.S Recycling Ltd, you can be sure that your confidential documents will be shredded and disposed of correctly. Choosing our Document Shredding services will give you the opportunity to attend to more important matters in your business. Before the shredding process, our trucks will come to your business property to pick up the documents. The documents will then be securely transported to our shredding sites and properly destroyed. Every business has its own shredding needs and at G.H.S Recycling Ltd we will help you meet your shredding needs. Some businesses need to shred documents regularly and others occasionally. 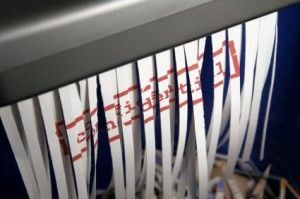 To help you maintain utmost confidentiality we offer a daily, weekly or monthly shredding service. Alternatively we also offer a one off service for businesses whose shredding needs are not imminent. With over 30 years of experience in the recycling industry, you can be assured by choosing G.H.S Recycling Ltd you will receive a confidential and secure service. We are a family run independent company who are dedicated to providing the best in recycling and waste management.